Like the prettiest girl at the dance, the tiny island of Anguilla takes its time picking a partner. Just 16 miles long and three miles wide, Anguilla makes up for its size with a shoreline that is a Caribbean postcard waiting to happen. Already an island paradise, Anguilla can afford to be selective when suitors come calling. 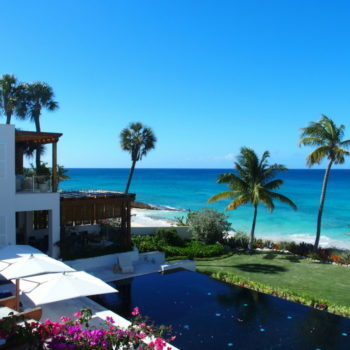 Golf legend Greg Norman is someone who found his calling in Anguilla. The Shark has a keen eye for seeing what others don’t. Norman was able to look beyond Anguilla’s 33 stunning beaches and see an ideal setting for CuisinArt, a world class 18-hole golf course. 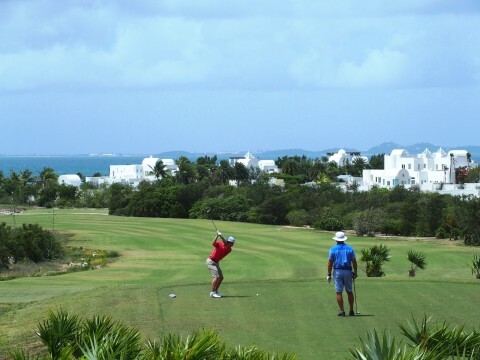 Prior to November of 2006, Anguilla had yet to be introduced to the game of golf. This revelation is not all that surprising when one considers that Anguilla didn’t have phone service until the mid 70s. 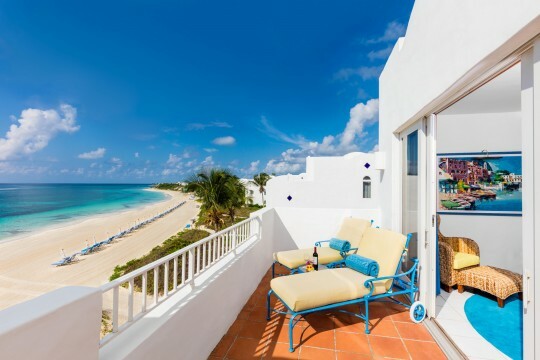 The pace on Anguilla is calm, serene, or what newcomers often refer to as island time. But as a rule, when Anguilla does decide to pick up the pace and venture into something new, the results are extraordinary. 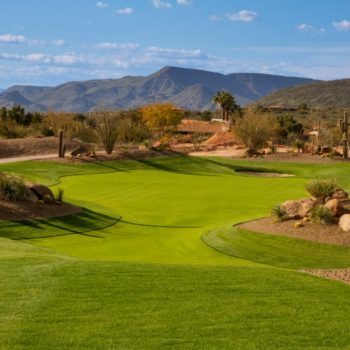 With or without golf, one’s initial arrival on Anguilla’s shores is without question “memorable.” In the film Jerry Maguire, Renee Zellweger said it best when she coined the phrase, “You had me at hello.” One’s first glance becomes a stare when taking in the colors of the surrounding Caribbean Sea. 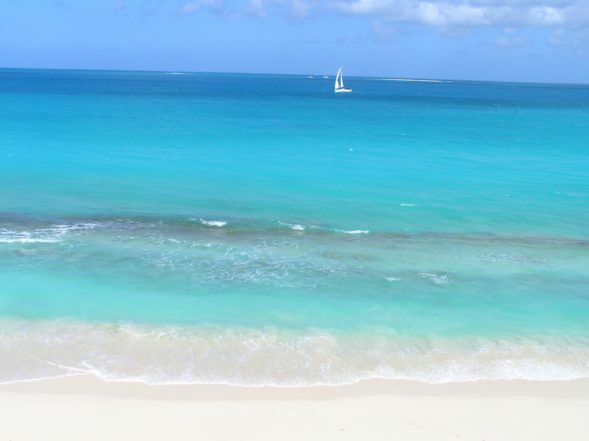 The sapphire blue and turquoise green waves blend perfectly with the talcum white sand that positions Anguilla’s beaches atop many of the world’s best lists. 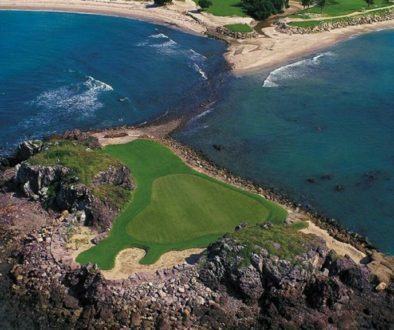 Today, on the most northern of the Leeward islands, golf has found its way to the upper echelon among its peers. Norman went to great lengths to make sure CusinArt exceeded Anguilla’s high standards. If first impressions are everything, then nowhere is this more stunningly evident than on Cuisinart’s 384-yard first hole. 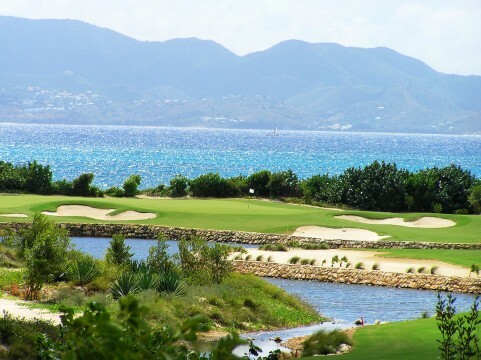 With the hand of a diamond cutter, Norman placed the first tee box to face the panoramic vistas of neighboring St. Maarten, located a mere 20-minute ferry ride from Anguilla. For those not easily impressed, hold on to your knickers, because Cuisinart is just warming up. Throughout Cuisinart’s 7,000 yards, Norman adheres to the real estate adage of “location, location, location.” Whereas many Caribbean golf courses are situated a mile or more inland, CuisinArt fondly embraces Anguilla’s most treasured asset, its pristine shoreline. Norman makes sure that a golfer’s lasting image of CuisinArt is the ultra-blue Caribbean Sea. 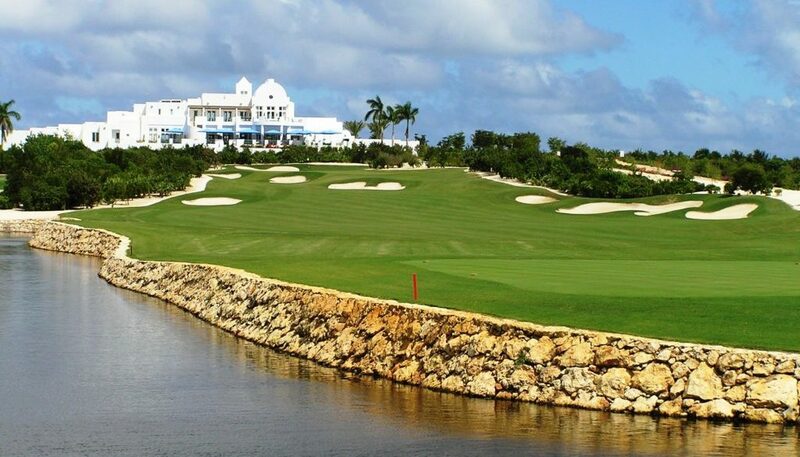 In fact, water or ocean views are featured on no fewer than 13 of Cuisinart’s 18 holes. The CuisinArt design is at once a visual and sensory experience that gives new meaning to the daydream of Caribbean golf. 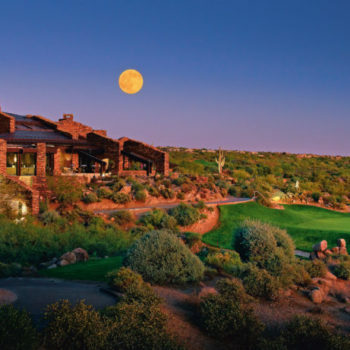 Completing your round is like turning the last page of a favorite novel; one hates to see it end. 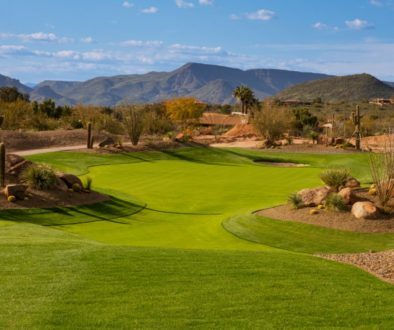 Fittingly, the 401=yard, par four, 18th hole is a scene-stealer you won’t soon forget. It’s only right that the prettiest girl at the dance has a very nice home. The CuisinArt clubhouse, serving as a backdrop to the 18th green, is a spectacular whitewashed presence, reminiscent of the architecture from the Greek Island of Santorini. 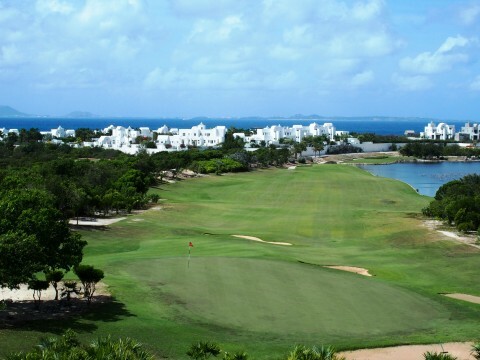 It’s amazing how Anguilla has evolved since the course first opened a decade ago. The island is now home to 58 hotels, 400 villas, and 131 restaurants. This quiet growth has occurred while thankfully maintaining the island’s paradise-like beauty and trademark small-town charm. 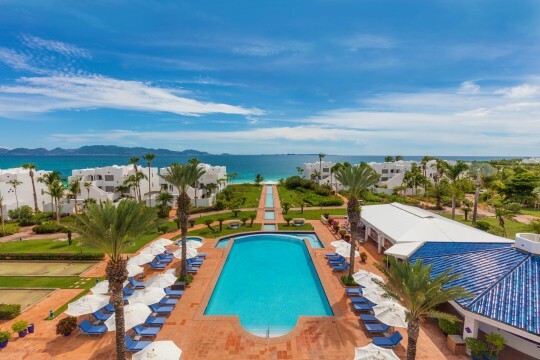 Since its opening, CuisinArt Golf Resort & Spa growth has run concurrently with the island of Anguilla’s recognition as a Caribbean luxury destination. Today, Cuisinart is so much more than a golf retreat. The resort features 98 suites, a 27,000-square-foot Venus Spa, four restaurants, and the largest hydroponic farm in the entire Caribbean. 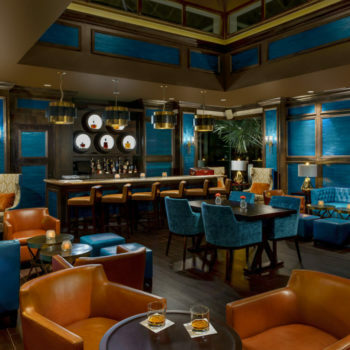 CuisinArt refuses to rest on its laurels, and hardly a month goes by that the resort isn’t recognized with a new accolade, or shares exciting news of a coming attraction. 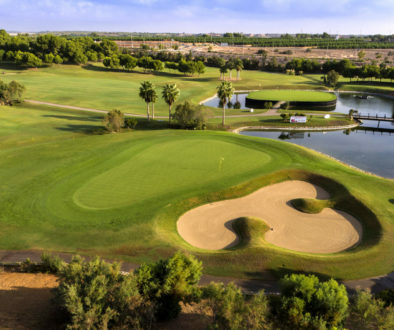 The golf course gained inclusion into the Great Golf Resorts in the World. In November, CuisinArt is hosting the Epicurea Celebrity Chefs event featuring four of the world’s greatest chefs. 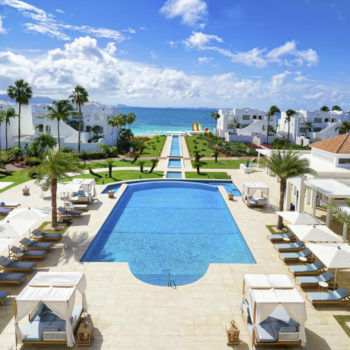 November is also the month that Cuisinart expands to open The Reef, Anguilla’s newest luxury destination. 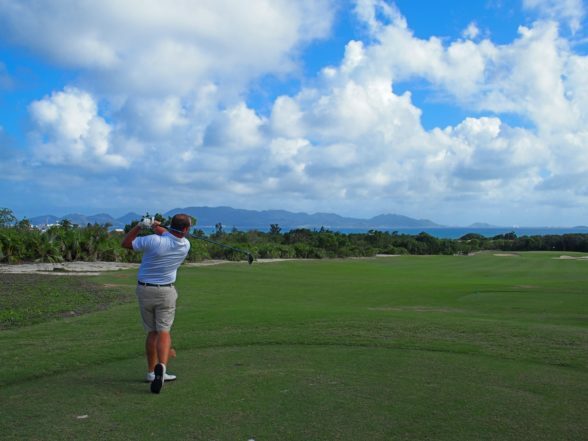 Golfing on a setting like Anguilla is almost too much. 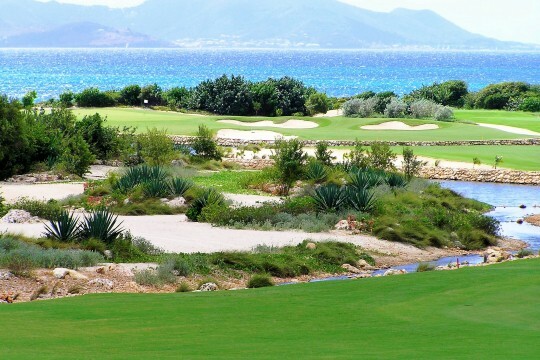 After the water, the beach, and now CuisinArt, the question lingers, “Do I deserve all this?” But then again, seeing that golf began in the 15th century and didn’t arrive in Anguilla until 2006, CuisinArt is certainly a cause for celebration. Golf’s presence in Anguilla is a Caribbean tribute to the adage “good things come to those who wait.” For a people and a location that move at the rate of island time, CuisinArt appears to be a just reward. 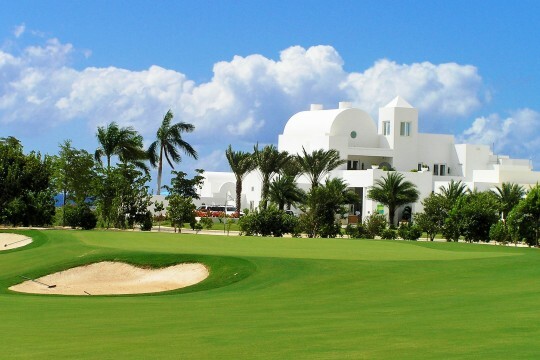 Yes, the time is right to say “hello” to golf in Anguilla. CuisinArt is the perfect partner for the prettiest girl at the dance.